WE LOVE YOUR BUSINESS & THINK YOU RUN A FIRST CLASS ESTABLISHMENT. THANK YOU VERY MUCH. I'm very interested in buying one of your Altima Wading Jacket, It's one of the BEST most functional Jackets I have ever worn. I stole my Dad's Jacket which is a medium and I have been wearing since. I'm an XL size guy Too! but I want one for my own. to my dismay there aren't many dealers aroung my area (I live in Maryland) and I can't go out and just buy one. There isn't much information on Your Website either about it, but I just wanted to know, are there different colors for this jacket? and how can I go about acquiring one? I have no idea how my dad came across his and nor does he remember. I want one! I choose his over Northface, Helly Hansen, Marmot and other outdoor gear company. I've even come as far as thinking about investing in one of those Henry sailing jackets! but they are pickles compared to the Altima. Please Help!. You provide superior quality in both your flies and customer service and I greatly appreciate it. Hi Ray, I gave Mike at Wolf Creek one of my samples of the Bearded Clam because his parents were heading out on a redfish trip. 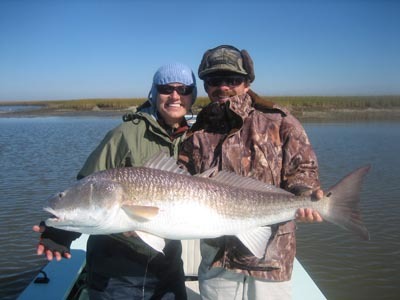 Mike's mom landed a 32 pound red on the fly. It would have been a world record had they had a scale. She didn't know the name of the fly but thinks it's a great bug. Here's to the bearded clam! Just wanted to send a quick note and say thank you for the quick turnaround and generous terms on the special fly order. You guys are truly one of the best to deal with in the industry and make my job so much easier when you deliver product when we order it, and deliver some of the highest quality flies in the industry. So Thanks again for your help in making our business a successful one. 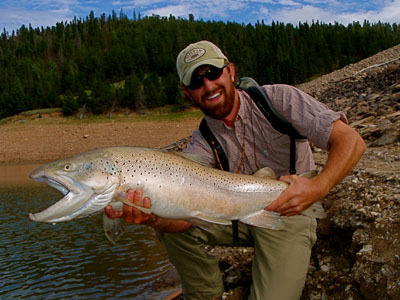 And by the way, those red fish spoonfly's work great on trout, just keep that one under your hat. World Class Service ! From Mike Ward To Ray Chang Hey Ray, Ordered the flies yesterday, received them via UPS at 1:45 pm today. Unbelievable service. That is why every fly shop and industry professional holds Solitude Fly in the highest esteem. Again, thanks for all you do. Hey! Just wanted to stop by and tell you how much I am enjoying your products! Im a HUGE fan! Thank you! Ray and Company, I’ve been in the fly fishing industry for 20 years and I just have to tell you that out of any company in the entire industry Solitude is the most reliable, professional and fastest entity. On a Friday, same day shipped - it’s just unheard of, keep up the awesome work. Many thanks for always coming through in the fastest way possible! Best. Hi Ray — Thanks for the quick shipment of flies. I was able to fish yesterday on the Upper Owens and I just wanted you to know that those "gummy worms" worked great. When we spoke on the phone last week, you asked if I was interested in trying out any of those flies. Anyway, the proof is in the pudding, they work. 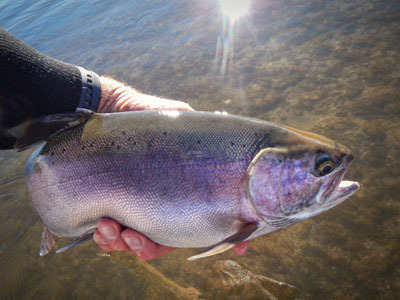 As you can guess, they aren't the most durable fly out there but they do attract winter rainbows. 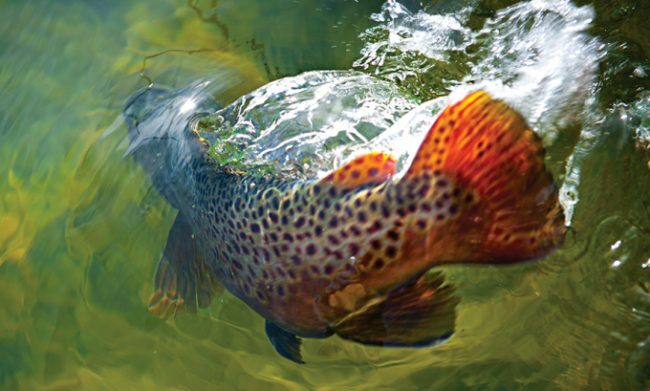 With the size of the fish and the fight involved, you are lucky to get one trout per fly. But again, they do work. 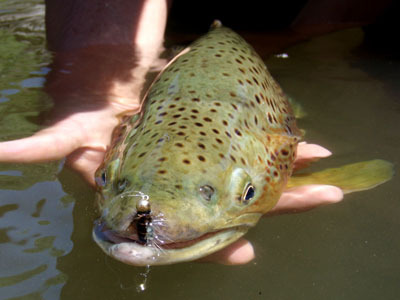 Truly monster brown trout are very efficient eaters. Rather than take insect after insect during a hatch, they consume one meaty meal. Mark Shelton was in my shop today and I showed him this picture. One of my customers caught this fish on a #4 White Sculpzilla in Costilla Reservoir on Vermejo Park Ranch in New Mexico. We love that streamer pattern for lake browns! © 2019 Solitude Fly Company. All Rights Reserved.